For years, Grass Instruments Model S88 Dual Output Square Pulse Stimulator, and it’s little brother, the S48 Square Pulse Stimulator, were the backbone of neuroscience, physiological psychology, and behavioral psychology research laboratories around the world. With these trusted instruments no longer in production or even being supported by the original manufacturer, scientific researchers can now turn to A-M Systems for repairs or replacement with new instrumentation. However, should the instrument not be repairable, A-M Systems also offers a variety of stimulation instruments that could easily replace your current Grass Instruments Stimulators. This page details the key features of the Grass Instrument Stimulator family, and the closest A-M Systems Replacement. A-M System’s electronics department has built, tested, and repaired scientific instrumentation for over 40 years. We are confident we can repair many common issues found in non-working Grass Instruments stimulators like the S88, S48, and the SD9. After an initial evaluation, A-M Systems would contact you with repair costs to determine if you are interested in pursuing repairs of the instrument. 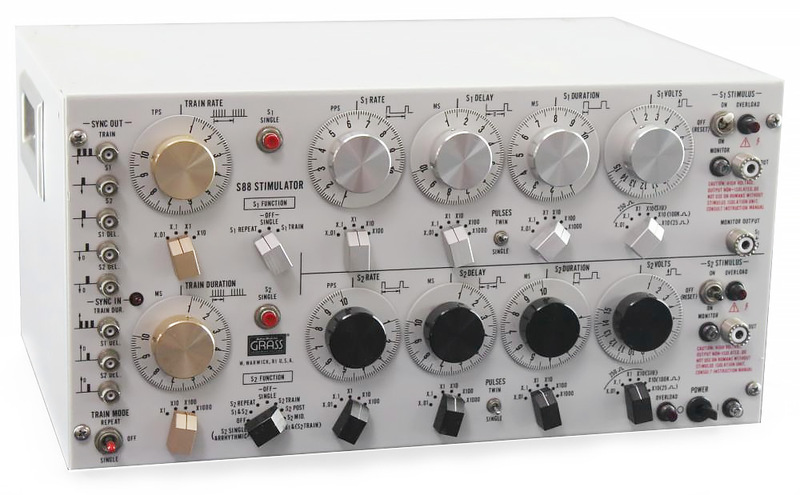 The S88 Dual Output Square Pulse Stimulator was the most advanced research stimulator Grass Instruments manufactured, and became the default instrument in many laboratories across the world. Essentially putting two complete S48 stimulators in a single (large!) enclosure, the S88 allowed for complicated timing protocols to be generated internally by the two stimulators. Outputs could be combined, or generated separately. Like the other Grass Stimulators, the S88 was voltage only, and required external stimulus isolation units to generate constant current or constant voltages. Timing and output specifications were identical to the S48, but many more synchronization inputs and outputs were available to help coordinate timing with other laboratory instrumentation. The S48 Square Pulse Stimulator was the entry level research stimulator manufactured by Grass Instruments. Compared to the SD9, the S48 was more flexible, allowing the user to define train epochs that could be repeated at particular frequencies, resulting is a period of pulse bursts that would then repeat, rather then the simple ongoing pulses produced by the SD9. Pulse durations could be shorter (10 microsecond minimum), longer (10 second Maximum), repeat more slowly (0.01 Hz) or more quickly (1000 Hz), and could be larger (up to 150 V). In addition, the train epochs could be as short as 1 millisecond or as long as 10 seconds, and they could be repeated up to 100 times per second. Like the SD9, the S48 was a voltage only device but was non-isolated. It also had so software control capability. The SD9 Square Pulse Stimulator was designed for a student teaching application. With built-in isolation, the unit provided a level of safety other stimulators do not, but it was a voltage device only and did not generate constant current. 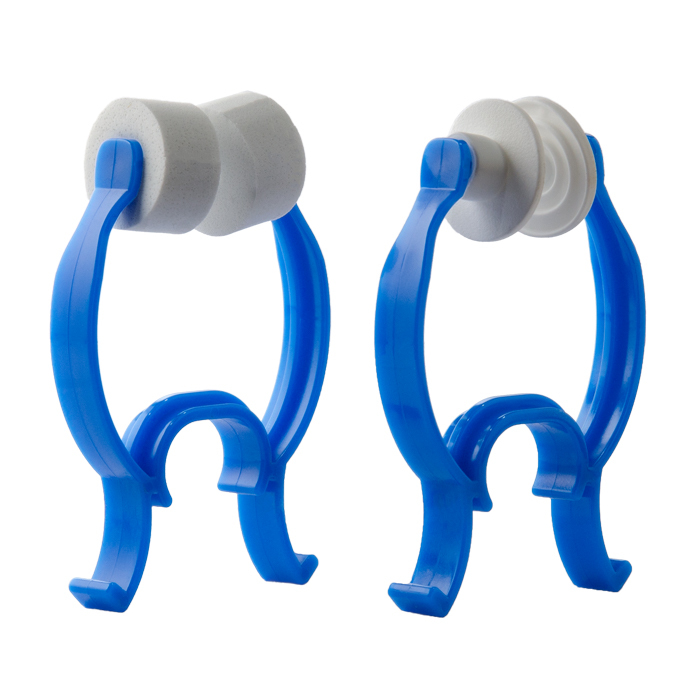 To do so required the use of an external Stimulus Isolation Unit. 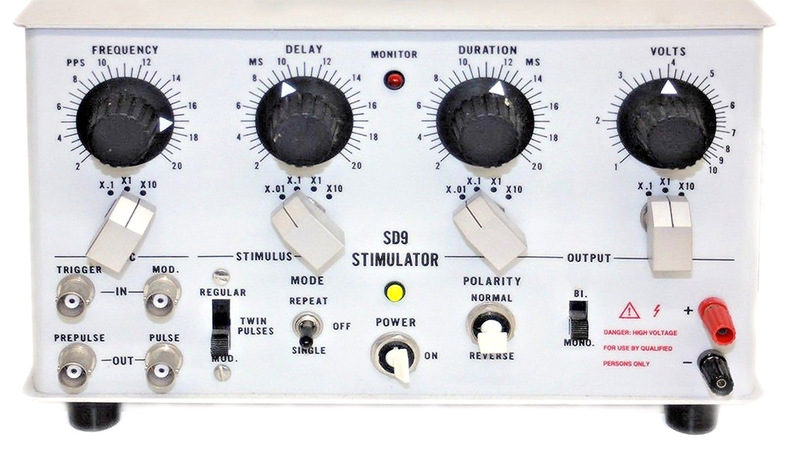 Built-in to the SD9 was Twin Pulse circuitry allowing the stimulator to generate paired pulses with a defined interval between the two pulses, a useful feature often used in refractory studies. The Stimulator could generate pulses from 20 microseconds to 200 milliseconds in duration, with interpulse frequencies ranging from 0.2 Hz to 200 Hz. Output voltage could be defined from 100 mV to 100 V. All controls were set by dials and switches. There was no software control. 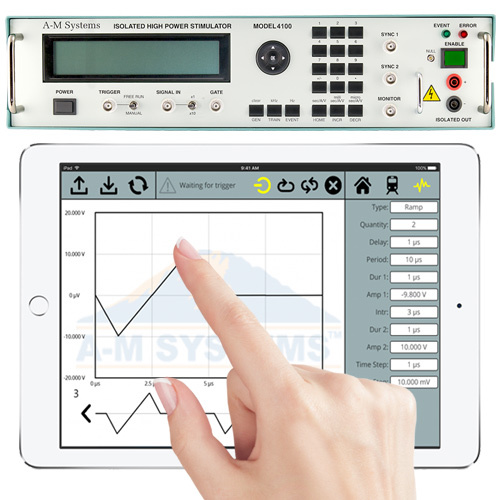 For over four decades, A-M Systems has been making reliable cost effective research-grade stimulation instrumentation. users of Grass Instruments stimulators should have no problem incorporating A-M Systems stimulators into their research protocols, with the two small caveats. All Grass Instruments stimulators define time intervals in terms of frequency, e.g., pulses should be delivered at 100 PPS (100 Hz). In contrast, A-M Systems stimulators define time intervals in units of time, e.g, pulses should be delivered at intervals of 10 milliseconds, so that could take some adjusting in how to think about timing parameters during an experiment. Physical connections from the stimulator to the external stimulus isolation unit or the preparation. Grass Instruments used a UHF connector; A-M Systems uses a dual banana plug style connector. Either original Grass instruments cables can be modified, or adapters would need to be used. The following table compares the three Grass Instruments to the current line of A-M Systems Instruments for critical specifications. If you are looking for a particular recommendation to replace a Grass Instruments item you do not see listed here, please contact us with your request.